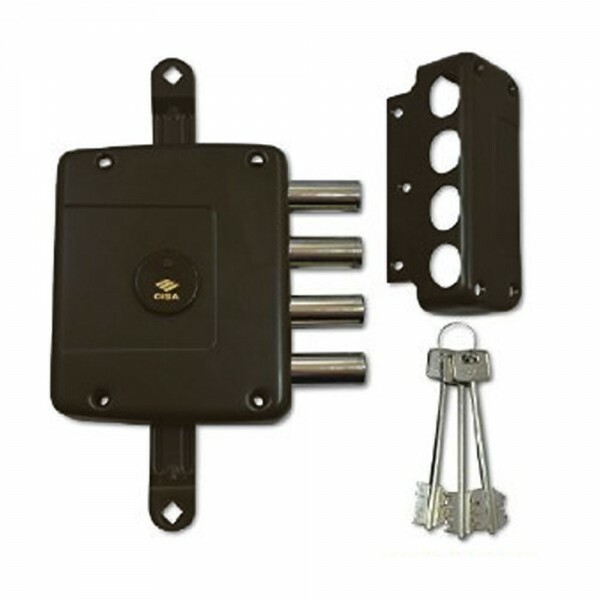 The Cisa 3 point locking rim deadlock locks features four nickel-plated steel horizontal dead-bolts and two adjustable steel top / floor bolts are locked or unlocked by key from either side. Each 180 degrees turn of the key throws the bolts 10mm. (4 throws = 40mm total bolt projection). 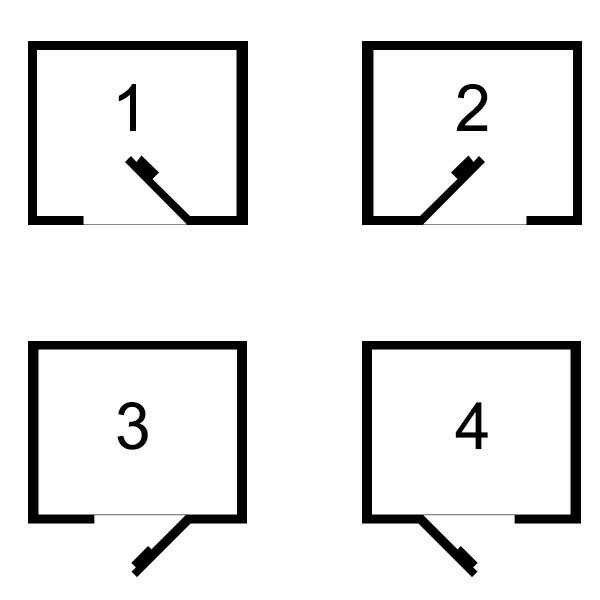 Six lever mechanism. Lip Depth: 20mm. 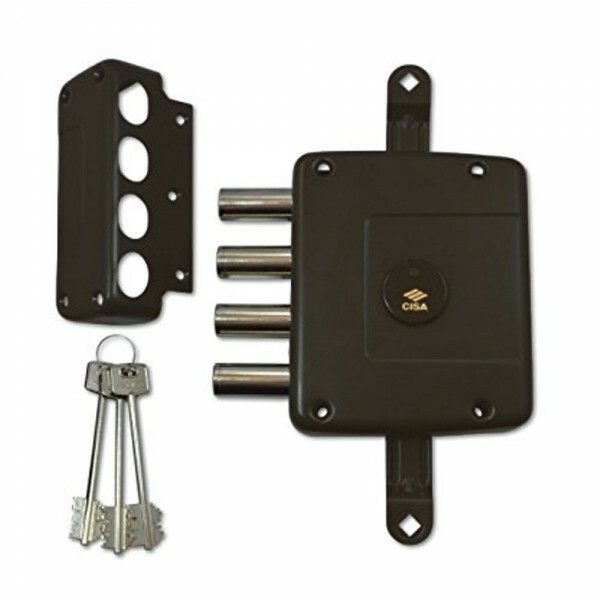 Supplied with 3 keys, striker, external key guide, and 2 adjustable vertical steel bolts with top and floor strikers to suite most doors up to 2.8m high.